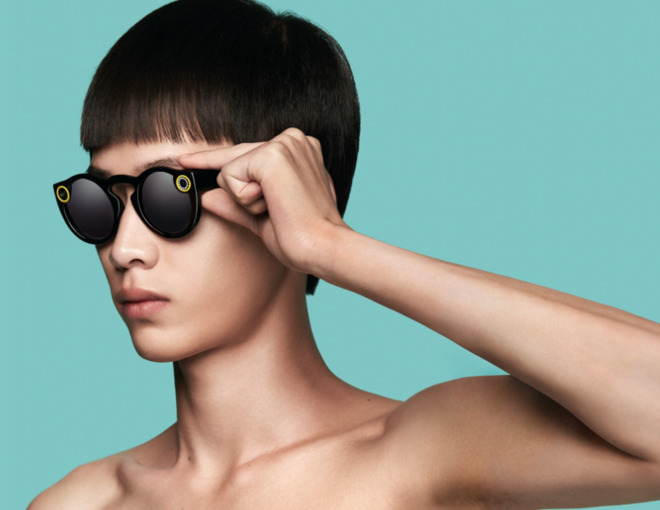 Looking to move past the commercial failure of the first iteration, Snap is reportedly working on not one but two new versions of its camera-equipped Spectacles. Second-generation glasses due this fall will bring relatively modest upgrades, Cheddar sources said. These include water resistance, bug fixes, better performance, and new color options. The third generation was originally slated for 2018, but is now likely to ship in 2019 instead. These should use an aluminum design with circular lens frames, and more significantly not one but two cameras, enabling depth effects. Snap is also said to be considering including GPS and a leather case. The tradeoff though could be a pricetag around $300, far higher than the $130 for first-gen Spectacles. Snap is meanwhile said to be expanding its horizons. In September 2016, for instance, it quietly bought Colorado firm FiveFocal —giving it access to experts in software that can prototype camera technology. More recently it has reportedly considered partnering with companies like Luxottica and Warby Parker on third-party glasses. In the long term the company is allegedly interested in augmented reality, for example integrating Bitmoji and animated software lenses. Technological obstacles are expected to keep that out of Snap hardware until 2020 or later. The original Spectacles were briefly a cult item, sold at pop-up vending machines before going up for sale online. Snap misjudged that early demand, though, and come November 2017 revealed that it had ordered hundreds of thousands more units than the 150,000 it had sold up to that point. The company had to write off nearly $40 million as a result. Snap's AR plans could put it on a collision course with Apple. The latter is rumored to be working on an AR headset for launch in 2020 or sometime after, likely able to operate independently from an iPhone and using a mix of Siri commands and touch/head gestures.